Chamber is an interactive solo dance performance that utilizes infrared body detection and a digital projector as the sole light source. These tools allow for the dancer to duet with digital imagery that is responsive to the placement, movement, and gesture of the performer. To facilitate a dramatic surface for movement and better viewing angle for audience, a raked 15° degree ramp has been created for the work. 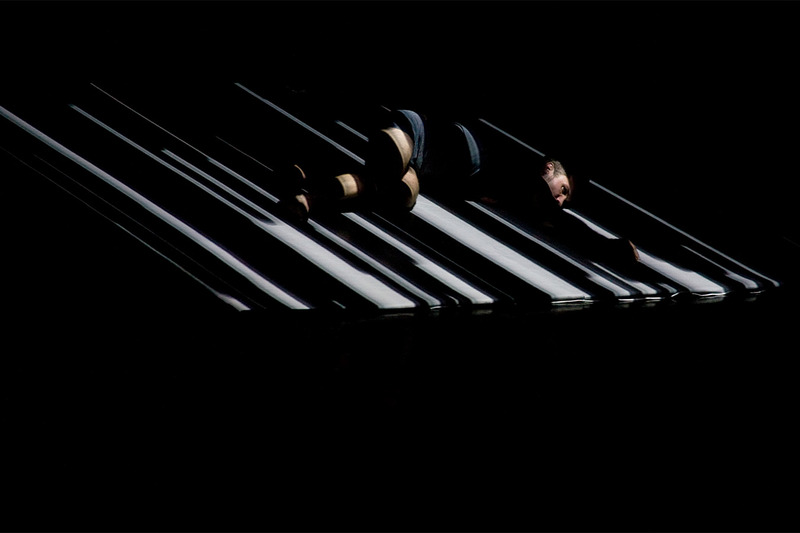 The work is a collaborative project with Harmonic Laboratory. 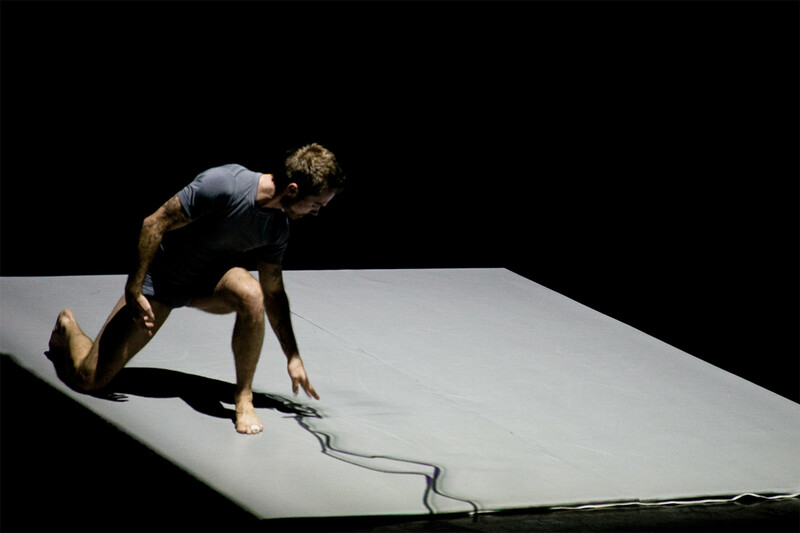 Choreography and original performance by Brad Garner. Original score and interactive sound elements by Jeremy Schropp. 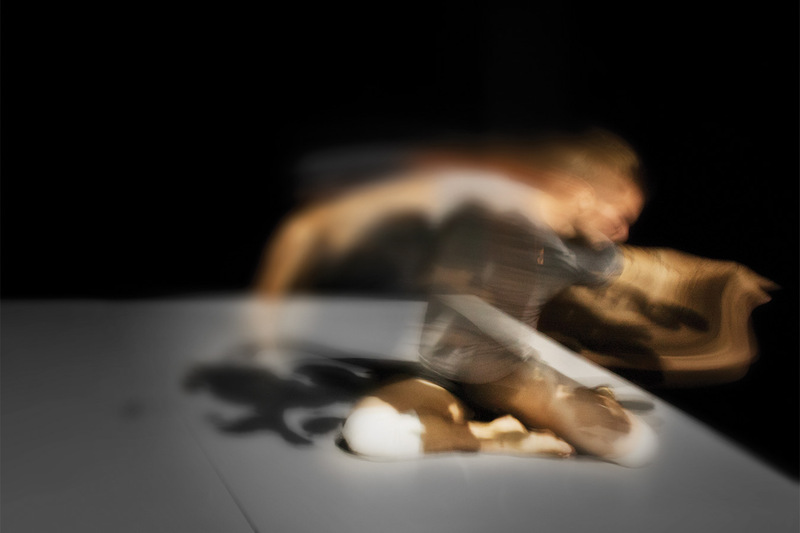 The animated imagery is generated in real-time, meaning that if the dancer chooses to move differently during a given performance, the visuals will be different as well. © 2016 John Park. All Rights Reserved.